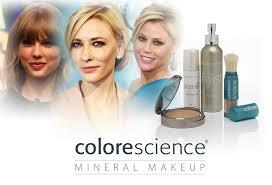 Colorescience® Foundations deliver non-cakey, lightweight, breathable coverage. This award-winning range of custom-created face primers provide sun protection, diminish fine lines and pore size while achieving the skin texture, tone and finish you desire. Engineered for the most natural-looking coverage, this multi-tasking lightweight pressed foundation helps hydrate, smooth out imperfections and shield against UV rays and environmental stressors. Breathable, skin-loving and effortless—it’s no surprise you’ll forget you’re wearing foundation. Achieve lasting beauty with our lightweight liquid foundation, Tint du Soleil™. Zinc oxide and titanium dioxide provide SPF 30 and protection from environmental stressors, while ceramides and milk lipids help to hydrate and rejuvenate the look of skin. All in a vitamin and peptide-infused sheer foundation formula. Always be ready for mess-free mineral protection with the Sunforgettable Brush-on Sunscreen Multipack. The brush offers powerful SPF 50 UVA/UVB protection, alone or over makeup. SPF and finishing powder in one simple, on-the-go application. Perfect for your car, purse and home; sand or snow. Protect the whole family wherever you are. These luxurious, nutrient-infused corrector palettes, bronzers and illuminators highlight, color and define. Breathable, healthy, customizable colors in perfected pinks, browns and bronzes. 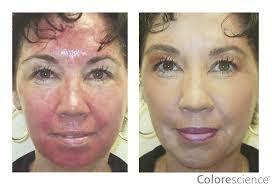 This 3-in-1 advanced treatment brightens, corrects and protects, while addressing the appearance of skin discoloration. Our proprietary LUMIRA® Skin Brightening Complex is clinically tested to address the appearance of brown spots and other skin discoloration. 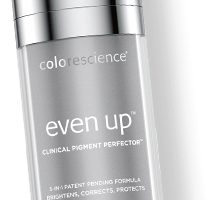 Mineral-based treatment primer instantly diffuses the appearance of skin discoloration and evens skin tone. Non-Chemical Broad Spectrum SPF 50 sunscreen (zinc oxide & titanium dioxide) protects skin from UV rays and other environmental stressors.